Contractors Earn Freebies through DuPont Tyvek Contractor Rewards Program - Spahn & Rose Lumber Co.
DuPont™ Tyvek®, found at all Spahn & Rose locations and distributed by BPI, is pleased to offer the Contractor Rewards Program to give back to builders, remodelers and professional trade contractors, who can earn rewards for merchandise, vacations and much more. It’s quick and easy to enroll in the Contractor Rewards Program. Through the website, you can then record your DuPont™ Tyvek® purchases (and others!) made through Spahn & Rose. 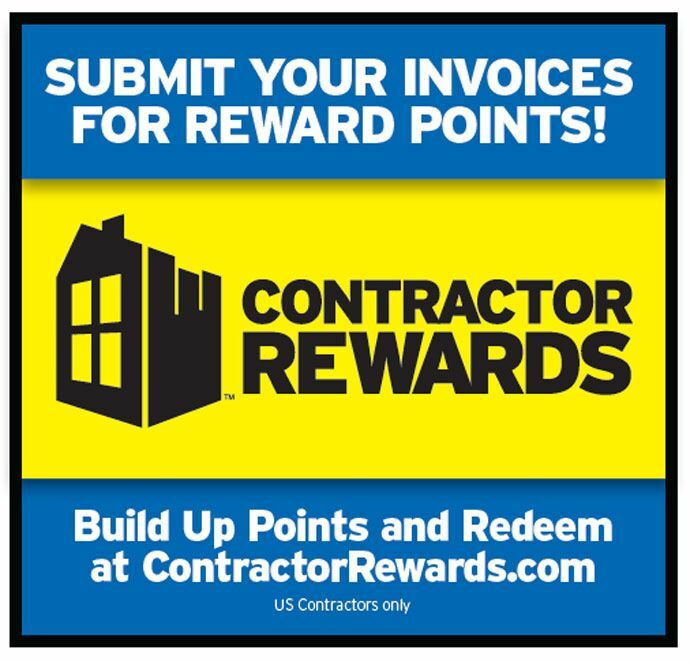 Purchase information can be uploaded to the Contractor Rewards program via desktop or mobile devices. There is no enrollment fee, and no purchase necessary to enroll in the program, though only enrolled contractors are eligible. Participation is limited to general and subcontracting businesses in the residential, commercial, heavy- and civil-engineering construction industry that are involved in new work, additions, alterations or maintenance and repairs. Some participating contractors have taken advantage of the Contractor Rewards Program to purchase iPads, golf gear and Fitbits.